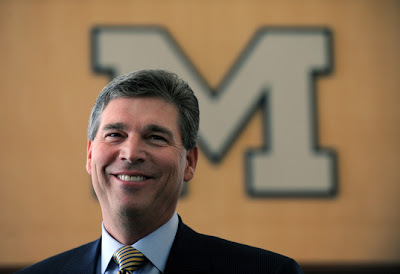 Upon hearing the news that Michigan was going to hire Dave Brandon, the CEO of Dominoes Pizza, as the next AD, it seemed to make perfect sense. The guy is well mannered, speaks well, is a confident fella, has an impeccable resume, and will likely secure the financial stability of Michigan sports for many years to come. 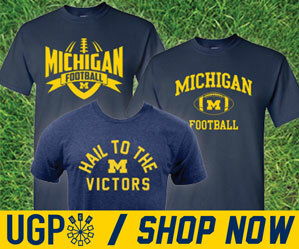 But hiring a guy like this says to me, a rather scrutinizing Michigan fan, that hiring a wild-gun-slinging West Virginia outsider like Rich Rodriguez was so outside of the typical "Michigan Man" comfort-zone, that they had to offset that hire with a guy who the "old guard" at Michigan can easily accept and get behind. I'm not saying that hiring Rodriguez was necessarily a mistake, but two years in and a 8-16 record...you do the math. I'm willing, as many others...including Brandon I assume, to give Rodriguez another year before we cast him out for new blood. I still think he's able to turn the ship around in his 3rd year. Why? Because he has to in order to have a 4th year. He knows it, we all know it. But after reading everything about Brandon and how well he has been groomed for this role since his days playing for Bo in the 70's, being on the board of regents for the bulk of Lloyd's tenure, it seems so very obvious that the clock is definitely ticking for Rodriguez. I don't think Brandon would do something as rash as fire him right now. But I think that the heat just got turned way up. And if or when the clock does run out for Rodriguez, it's going to be Brandon handing him his pink slip.